One of our guiding principals here at Baseballisms is the fact that we live in a digital age that provides us with tools to preserve our history in the making. The game of baseball is built upon continuity (mostly, but that’s another story) and legacies at all levels. How many of you remember the name of the kid who was the all-star flamethrower in your Little League? And how many of you cherish the memory of getting that big hit off of him? If you grew up prior to our current digital age, what you have are memories, there is only a slim chance of a recorded history of your baseball career. That is no longer the case. Kids of today’s era might as well have highlight reels on YouTube that they can re-live forever. This post is born out of jealousy, but also as a warning to never take this capability for granted. The 1’s and 0’s preserved on a drive somewhere will increase in personal value over time. They must be preserved and nurtured through the years and the payoff will come when those special moments can be shared with others. Do not get fooled by the cheap medium, cheap storage and plethora of content … the value to you is actually immeasurable. So here you go, my entire baseball playing career boiled down to a 37 second video captured on an 8 mm camera that my Dad owned. It was taken at the 1975 Little League All-Star Game played at the “Green Fence Field” in Lexington Massachusetts. My love of lineup introductions during the postseason was born in this moment, when we got to wear the ceremonial gold and blue hats with an L adorned by two stars, while we stood along the third base line for introductions. I was a catcher for a team called Toronto and loved playing the position (except for getting pinged by the occasional foul tip – man I feel for those guys). You can see me handle three pitches at the beginning of the video. 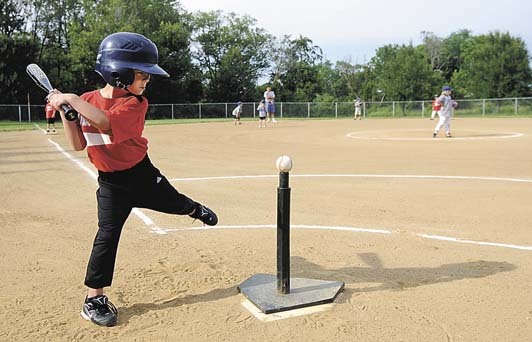 As is pretty typical for playing at that age, one of my best skills was an ability to get in the way of balls that didn’t exactly find the strike zone. I laugh when I think about how hard I worked at breaking in my catcher’s mitt. It was more likely to deflect than to softly cradle the incoming pitch. I sure wish I had that catcher’s mitt today. The rest of the video is dedicated to the one at-bat that I had before giving way to another catcher from another team. Where that hitch in my swing came from I’ll never know, and is not indicative of how I remember the thousands of other moments at the plate. The end result is consistent however. I guess I would have been considered a high OBP guy if they thought of things like that back then. I hit a lot of balls up the middle and took alot of walks. No power. It is kind of funny how memories work though. I can instantly call to mind numerous plays on the field .. scrambling to catch a low pop foul, moving the target around on batters during Jr. High tryouts that I believe won me the spot on the roster, throwing a runner out at second on the Bowman School field … but I don’t remember this All Star Game from the perspective of the moment. I have the memories that this video represents, but not the physical and emotional aspects like those other memories possess. In a sense, I hope that today’s always on camera kids don’t end up with diminished memories simply because they have handy digital recall. That would be sort of a shame. How about you? Do you have any ancient video that you can share with us? Drop us a link and tell us about it. 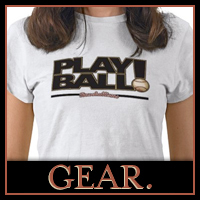 Baseball fan Floyd Sullivan’s email submission to Baseballisms.com reprinted with permission. A Friend of Baseballisms, Floyd Sullivan, is the author of Waiting for the Cubs. Floyd graciously submits this true story from his days as a youth baseball coach. We would like to take this opportunity to thank Floyd for all of his contributions to the Baseballisms community and look forward to many more stories about his devotion to the game he loves. You can find Floyd on Facebook. No one saw him arrive at the field. He stared at us from the sidewalk that separates the lakeside park from busy Sheridan Road on Chicago’s far North Side. At first I thought he was too old to play on our tee ball team, and so paid little attention to him. He stood a head taller than the other kids, and I had my hands full with a dozen or so third and fourth graders running wild around the dirt diamond. After about ten minutes of letting the team kick up a cloud of infield dust, I called for them to gather at the chain link backstop. The tall boy now stood on the grass, a few feet closer to the first base dugout. I noticed that he held a mitt close to his left side, and his long, curly, sandy blond hair stuck out in all directions from under a brand new Cub hat that was a little too big and so rested just above his eyes and behind his ears. He wore a crisp, maroon Loyola University sweat shirt, blue jeans so spotless they looked dry cleaned, and a pair of top-of-the-line Nike athletic shoes, charcoal gray without a hint of mud. “Okay,” I shouted, “settle down. Let’s see who’s here and who’s late.” I checked names against the roster supplied by the Chicago Park District. The tall boy watched. Each team member answered “Here!” when I called his name, except two. I repeated those names and tried to keep my eye on the tall boy, who had edged a few feet closer. But he still showed no sign that one of the names was his. He nodded once, his chin dipping just slightly toward his chest. He approached but stopped a few steps from the group. Up close, his hair, face and hands looked as fresh and unsoiled as his new clothes. Someone had gotten him all ready for something, but that someone was nowhere to be seen. “Why can’t we be the Sox?” asked another. “How come you didn’t take one of them?” asked a short boy who stood right in front of me, his feet spread and his arms crossed. Great, I thought. A punk with attitude. I wanted to reply, “All the good players were taken, too!” but let it drop. It was true, though. We had moved to the Edgewater/Rogers Park area a couple of years before and so had trouble finding the right dates, the right park and the right field house for signing up our son Steve for his first year of organized baseball. We were lucky to get him on a team at all as registration had formally closed a few days before we stood in front of the Park District official who handled the baseball leagues, Steve and three of his friends from the block looking on with hopeful young faces. A few years ago, I was at a fantasy baseball camp at Dodgertown in Vero Beach, Florida. 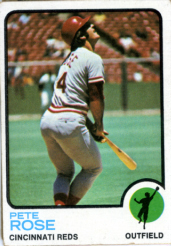 A number of retired ballplayers were there, but the biggest name of all was Pete Rose. Yes, there are some things he should not have done, but he’s still Charlie Hustle, and his passion for the game still remains. The moment that sticks out for me was in one of the five games we played over the course of three days. I hadn’t played an actual baseball game in decades, so I was more than a little bit rusty. But I was determined to make contact as much as I could at the plate. I struck out a lot in little league, so this was my long-awaited shot at redemption. In one of the games, I came up and made a little bit of contact, sending the ball to the second baseman for a routine putout. As I’m running back to the dugout, disappointed in myself, Pete Rose says “Good job” and gives me a fist bump. Yes, I got a fist bump from Pete Rose. It was amazing. When I went back and sat down, I realized he wasn’t just doing that to cheer me up. The batter before me had led off the inning with a double, and by grounding out to second, I had succeeded in moving the runner over to third. I also realized that he saw the game on a level that I didn’t see. Everyone would have liked to crack a base hit through the infield to bring the run in to score. But by giving myself up (even when I wasn’t trying to), I still managed to help the team. And it is a team sport, after all. Over the course of all my at bats (I think there were 17 in all) I only struck out once. So I accomplished what I set out to do, and had lots of fun doing it. But that fist bump will stick with me forever, especially since I understand why it happened. Do you have a story like Robert’s? We invite you to share your personal baseball story … Send a Tweet to @baseballisms with a quick message, send us an email or visit our Upload page with a video message. We look forward to continuing to grow a community of fans interested in Wisdom from the Diamond! This past Sunday was the annual celebration of Father’s Day .. a day to remember dear old dad and to reflect on how much of a presence he is in a child’s life. For generations, the game of baseball has been a common thread in families everywhere, allowing for bonds to be formed during long car rides to practice fields and for rituals to develop during games played at all levels. Getting to know Dad through sharing his passion for a game is a formative influence on a son or daughter. The same can be said for music, particularly the type of music that has been nurtured and shared on country porches in the hills and valleys across the land. Sometimes the music can assist in telling histories and passing legends from generation to generation. It can be known as the Blues, it’s also known as Bluegrass, sometimes all encompassing known as Americana – but it’s ALWAYS known as authentic. Here at Baseballisms we were honored this past Saturday night, the night before Father’s Day, to have been allowed a chance to capture some stories from a seminal force in the world of Americana music, and one who is widely known for his passion for baseball – Sam Bush. …. and we are extremely humbled by the fact that the previous day, Sam’s father Charlie had passed away at the age of 89. We will forever be thankful to Sam, for giving his time and for sharing with us a glimpse into his childhood, for speaking about his dad, … and for painfully recalling an intimidating opposing pitcher from his Little League days. Make sure to check out More Wisdom from Sam Bush in Part Two of his baseballism. Check out Sam on tour when he’s in your area .. and chances are you’ll catch him wearing some authentic team jersey. If you have a story like Sam’s to share, please visit our Upload page. We look forward to receiving it!